An educational data classification task at the program level is investigated in this paper. This task concentrates on predicting the final study status of each student from the second year to the fourth year in their study path. By doing that, in-trouble students can be predicted as soon as possible. However, the task faces two main problems. The first problem is the existence of incomplete data once we conduct an early prediction and the second one is the lack of labeled data for a supervised learning process of this task. In order to overcome those difficulties, our work proposes a robust semi-supervised learning method with sparse data handling in either sequential or iterative approach. 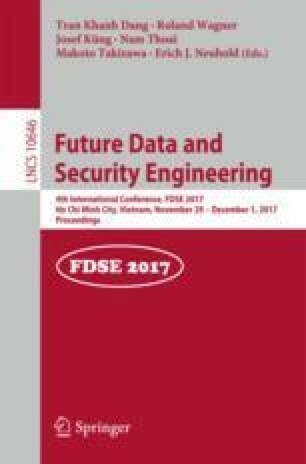 The sparse data handling process can help us with the k-nearest neighbors-based data imputation and the semi-supervised learning process with a random forest model as a base learner can exploit the availability of a larger set of unlabeled data in the task. These two processes can be conducted in sequence or integrated in each other for robustness and effectiveness in educational data classification. The experimental results show that our resulting robust random forest-based self-training algorithm with the iterative approach to sparse data handling outperforms the other algorithms with different sequential and traditional approaches for conducting the task. This algorithm provides us with a more effective classifier as a practical solution on educational data over the time. This research is funded by Vietnam National University Ho Chi Minh City, Vietnam, under grant number C2017-20-18.